The documentary portrays life trajectories of women farmers participating actively in agroecological movements in Brazil. They are protagonists of important social changes in the Brazilian countryside. Moreover, these women organise the movements themselves, autonomously, as social and political leaders that are questioning stereotypes of the social imaginary. Driving around under the lights of the city, Lucky, a social worker, is looking for Romane, a young teenager who has ran away. On his way, he meets Vladimir, an unconventional person, horrified by the moral decadence around him. Through the gaze of these characteres, A Reality Every Second immerses us into the universe of those we are usually turning away from. In August 2012, mineworkers in one of South Africa’s biggest platinum mines began a wildcat strike for better wages. Six days into the strike, the police used live ammunition to brutally suppress the strike, killing 34 and injuring many more. The police insisted that they shot in self- defense. Miners Shot Down tells a different story, one that unfolds in real time over seven days, like a ticking time bomb. The film weaves together the central point-of-view of three strike leaders, Mambush, Tholakele and Mzoxolo, with compelling police footage, TV archive and interviews with lawyers representing the miners in the ensuing commission of inquiry into the massacre. What emerges is a tragedy that arises out of the deep fault lines in South Africa’s nascent democracy, of enduring poverty and a twenty year old, unfulfilled promise of a better life for all. A campaigning film, beautifully shot, sensitively told, with a haunting soundtrack, Miners Shot Down reveals how far the African National Congress has strayed from its progressive liberationist roots and leaves audiences with an uncomfortable view of those that profit from minerals in the global South. A film documenting the struggles of precarious workers to receive full pay from the hospitality industry in Brighton. This documents one such struggle, led by Solidarity Federation against a cafe that was not paying. Recipe for fascism: Half a generation unemployed, doctors forced to choose whom to treat, social security disappearing, the public on discount. We ask our friends in Greece to make a list of their images of the euro crisis. It becomes a warning list for the North. “But the thing is, if a guy is a writer and want to write about his reality, this reality will be imbued with the fact that he is writer”. André is Sérgio’s son. Since 2009, Burkina Faso knows a situation of “mining boom” after a campaign of geological exploration and an incitement of foreigner investments. But thanks to a favourable mining code and a discriminatory legislation, this “mining boom” looks like a huge operation of looting the resources of the country, enriching the managers of this network and droping the populations loosing their grounds. The Gold of Faso does not shine for every body and the anger growls. From his village to the big city, Sylvain is trying to make it in Ouagadougou, the capital city of Burkina Faso, one of the world’s five poorest countries. There, he found a job as a bar manager at Le coin des Amis, a “buvette” owned by Hortense, a policewoman trying to make ends meet. Work is home for Sylvain: he works seven days a week and sleeps in the backroom. He has only one thing in mind: saving up enough money to get his driver’s license. If he succeeds, he could drive a merchandise truck, a job that would allow him to find a wife and start a family. In Burkina Faso, you are not really an adult until you are married. That is why he saves 100% of the 20$ he makes every month. In a year’s time he will have saved up enough cash to start his lessons. “Do you feel cheaper?” We are filming Lithuanian migrant working men in Sweden. They do not want to be on camera, they do not want to participate in creating one more media image for guilt and pity. They film us. We empty a bottle of moonshine, we dance on their porch. They might let us film them tomorrow. Through sincere and frustrating negotiation to get access to film the migrant workers, Second Class becomes a discussion about class, the value of work and human. While showing the filming process film raises questions about power relations in film industry itself. Acen’s girlfriend, Yuli, is a caregiver, and she always waits for him to come back; Anan misses his home in Indonesia by viewing the sea. One day, he meets Dora. They fall in love with each other, and Anan feels the love of a girl who comes from his homeland. Marcelo on a cloudy day in Rio de Janeiro. 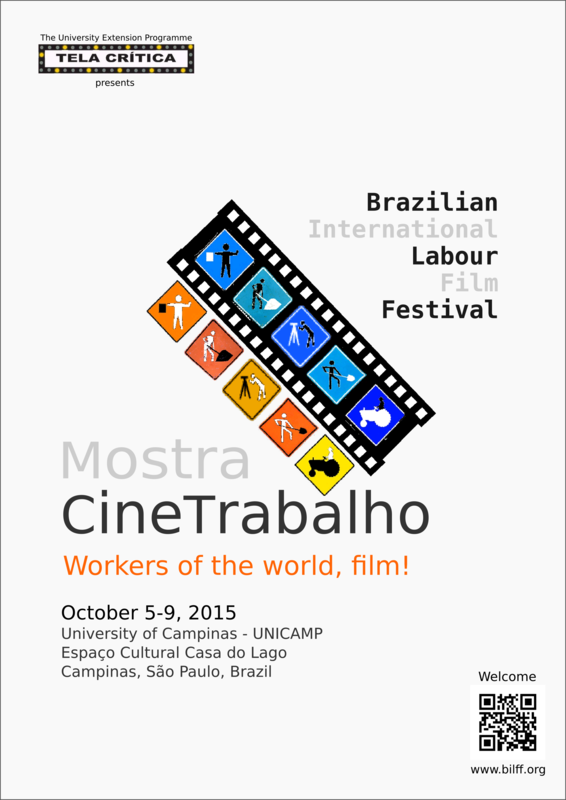 The BILFF / Mostra CineTrabalho is proud to announce the Official Selection of the 2015 Festival’s Edition to be held from October 05 to October 09, 2015 in Campinas, Brazil. 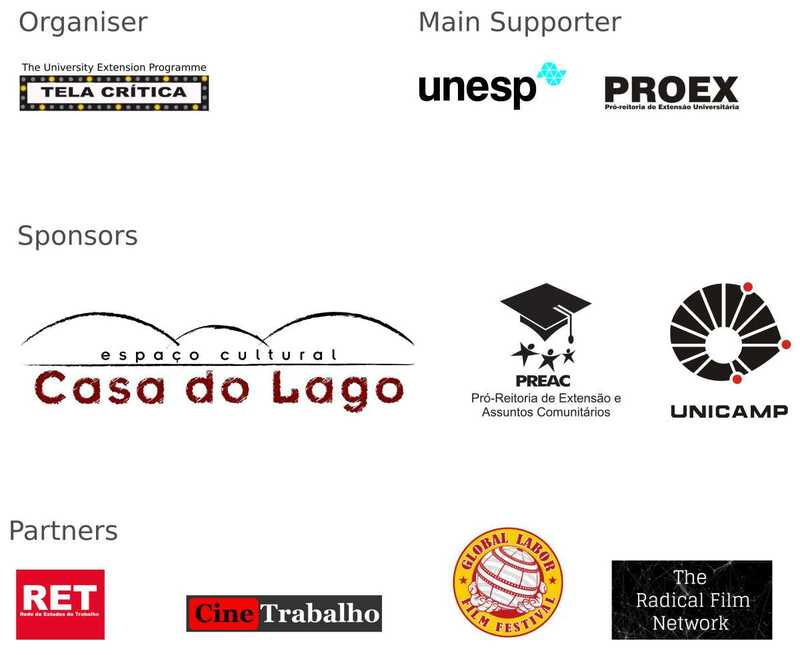 The 2015 BILFF / Mostra CineTrabalho will present 13 films (shorts and features) representing 11 countries, and the Festival is honoured to exhibit 10 South American premières.